Secretary-General of Nepal Communist Party (NCP) Bishnu Prasad Poudel has clarified that there was no dispute regarding the Venezuelan political crisis and NCP’s statement on it. At the 20th general assembly of Lumbini Information and Communications Cooperatives Limited’s Radio Lumbini and 10th convention of Manigram of Rupandehi district here today, Secretary-General Poudel asserted that his party had already approved the statement released by the Chairman Pushpa Kamal Dahal ‘Prachanda ‘ on Venezuela’s political crisis. Dahal in his statement had commented the United States of America (USA) for backing Huan Guiado as the Acting President instead of supporting Nicolas Maduro as its President. He had accused the USA of attempting an “imperialist coup” in Venezuela. 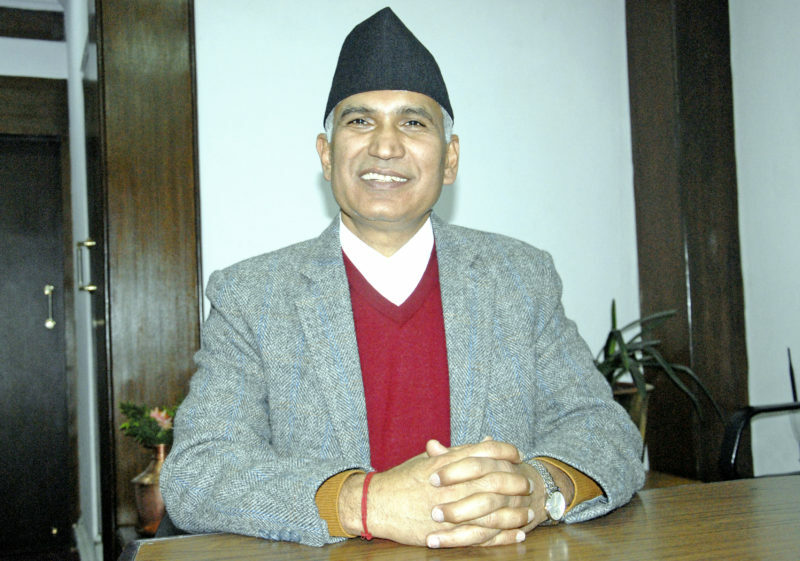 Poudel said that there was no point in making comments on Dahal’s statements as it was already endorsed by the NCP. Stating that the constructive suggestions should be always embraced by the government, he pledged that the development works such as construction of six-lane Butwal-Sunauli road would be expedited. According to him, expansion of Butwal-Narayangadh would commence very soon. He informed that the preparation of DPR for tunnel in Siddha Baba area was being forwarded. Similarly, Province No. 5 Minister for Industry, Tourism, Forest and Environment Leela Giri stressed on offering constructing feedback on the works of government. Likewise, Province Assembly Member Dadhiram Neupane urged the journalists for their productive and engaging role for peace and prosperity of the country. On the occasion, labourer Umakala BK, 56, of Tilottama Municipality-5 in the district was honoured with Rs 8,000 for continuing as occupation as a blacksmith for 20 years. Meanwhile, engineer Dujendra Basnet was unanimously chosen as the President of Radio Lumbini. Elected in the Vice-President post was Surga Prasad Pandey and Arujun Raj Upadhyay in Treasurer.